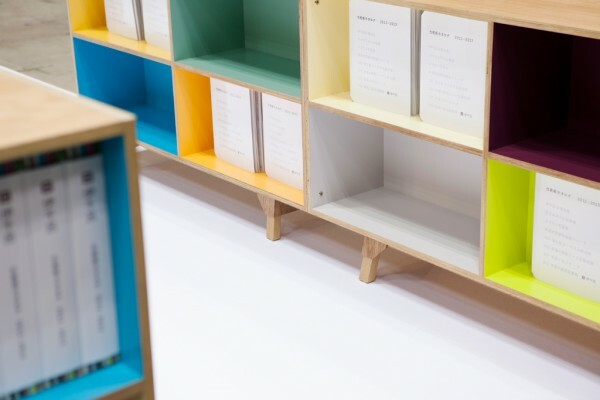 This is a design for an exhibition introducing the new catalog and furniture prototypes from Ichiro, a maker for decorative plywood. 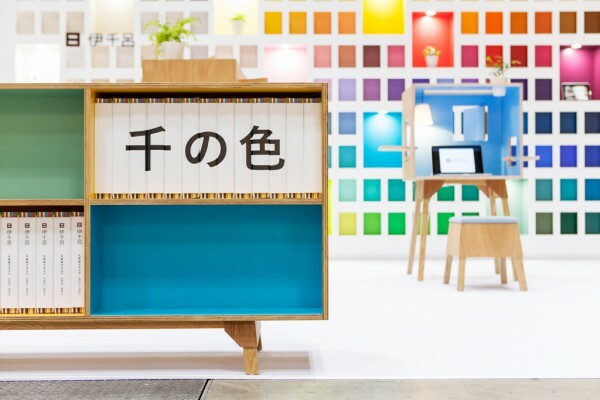 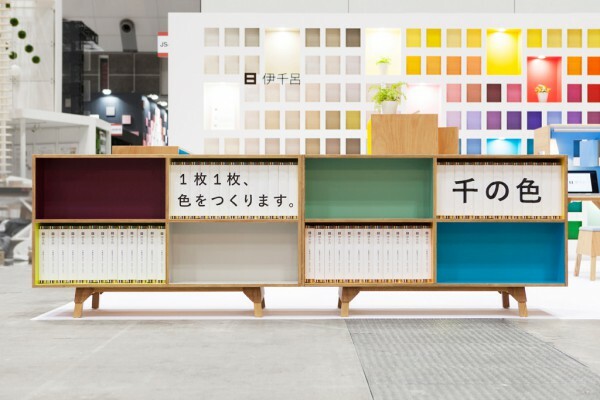 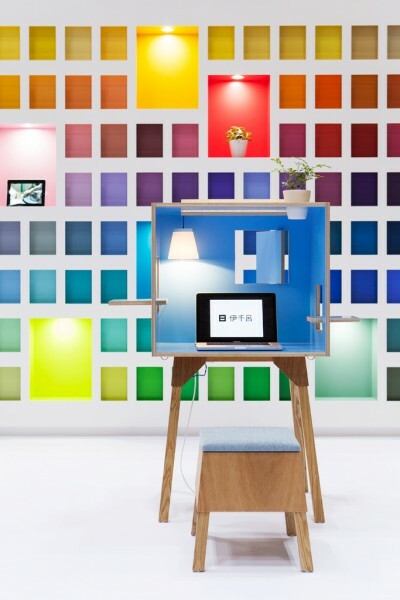 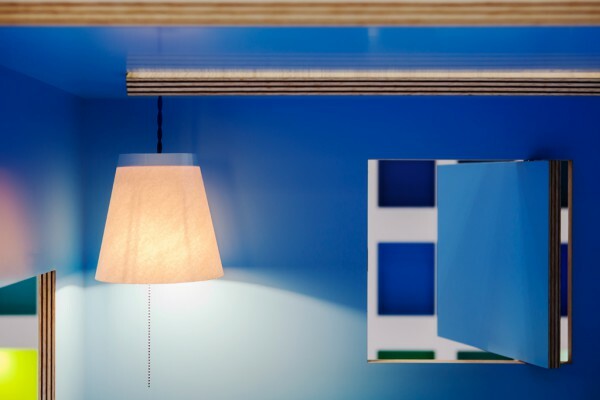 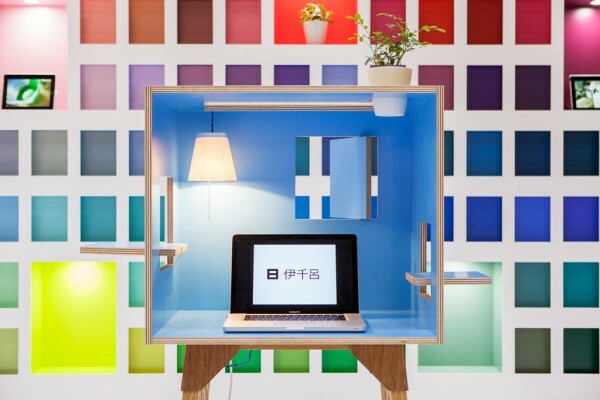 Ichiro sought for a space that is able to show people that they are especially particular with the colors used for their polyester plyboards. 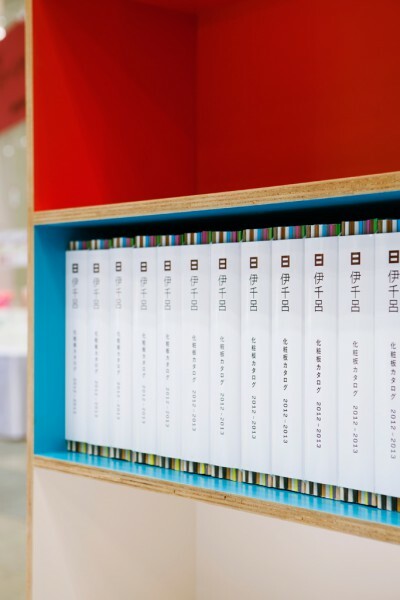 In order to show the many color variations, we expanded the layout of the catalog and placed it onto the wall like a large sample book. 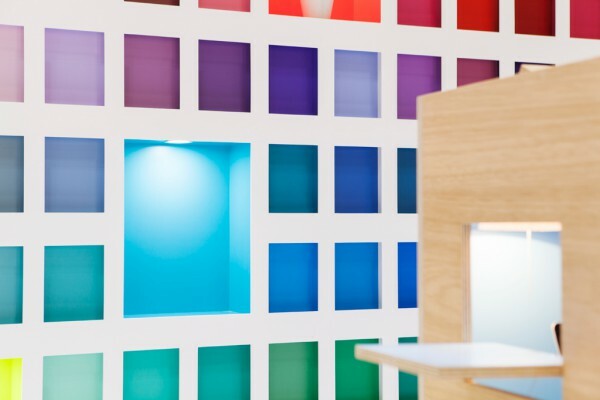 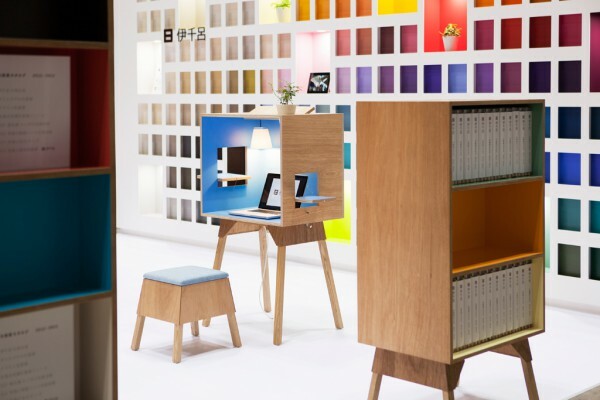 Scattered on this wall are large shelf-like openings which also displays the colors as they appear on the inside faces of the furniture made specially for this new catalog. 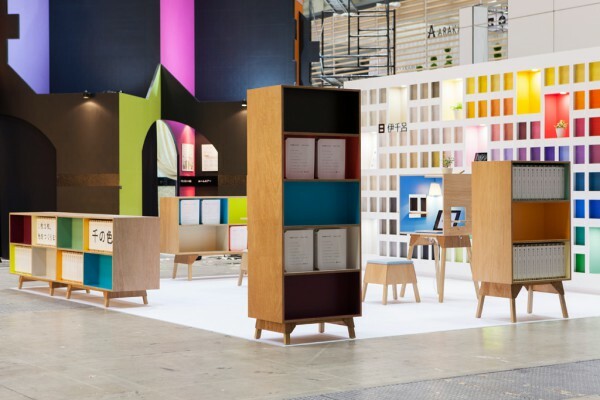 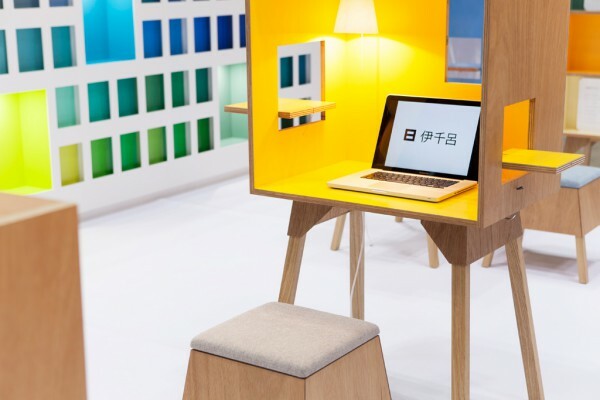 This exhibition was planned so the polyester plyboard would melt into the living space, as the colors picked up from the sample book permeate into the furniture pieces.